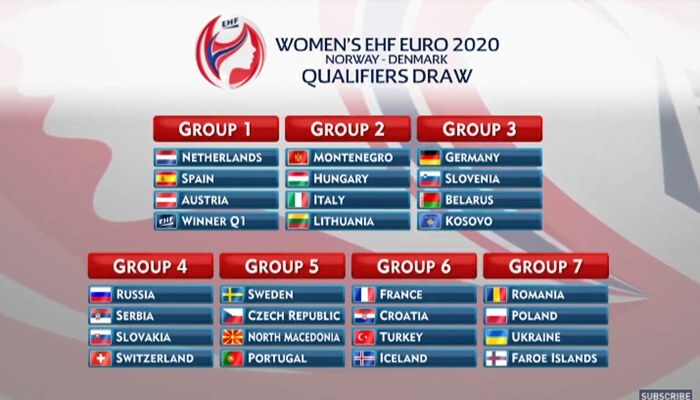 The Draw for the Women’s EHF EURO 2020 in Norway and Denmark was held in Copenhagen. EHF EURO 2018 winners and current world champions from 2017, France, have been drawn to group 6 and will face Croatia, Turkey and Iceland. EURO 2018 silver medallists and reigning Olympic champions, Russia, head group 4 and play against Serbia, Slovakia and Switzerland. 28 teams play the Qualifiers. The top two teams from each of the seven groups will qualify for the final tournament. Norway and Denmark as organisers are already qualified for the 16-nation tournament. A first qualification phase will be played from 31 May to 2 June 2019. Israel, Finland, Greece and Luxembourg have to play a tournament. Only the winner group advances to the EHF EURO 2020 Qualifiers. Next Story → Metz Handball with +5 from Bucharest!